CONNECTIVITY. 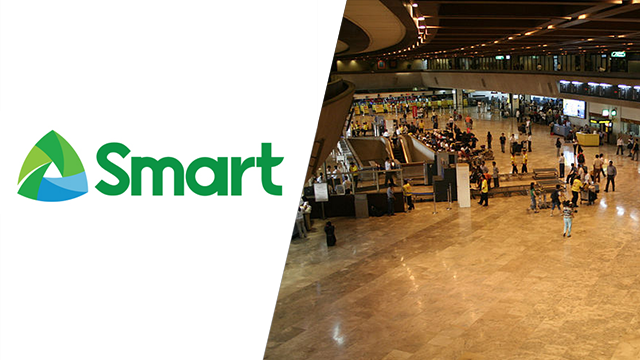 Smart is alloting P1-billion to upgrade WiFi hotspots in terminals and airports in the country. Expect faster internet connection in major terminals across the country, as Smart Communications upgrades its WiFi services. "Over the past months, we have aggressively broadened the Smart WiFi footprint through our key partnerships with government institutions and business establishments, consequently improving internet access and coverage nationwide," Eric Alberto, executive vice president at PLDT and Smart, said in a statement on Monday, July 11. Some WiFi public hotspots undergoing upgrades are the terminals of the Ninoy Aquino International Airport (NAIA); Francisco Bangoy International Airport in Davao; Iloilo International Airport; Bacolod-Silay International Airport in Negros Occidental; and Dumaguete-Sibulan Airport in Negros Oriental. The company also put up hotspots at the terminals of major bus companies of Alps, Five Star Bus, Isarog Bus, Jam Liner, Philtranco, and Victory Liner. The company is set to spend P1 billion ($21.13 million) for the project as part of its plan to grow its digital presence in the coming years. Splash Corporation, the company behind Maxi Peel and Barrio Fiesta, is delisting from the Philippine Stock Exchange after slow and low trade volume in the past two years, the company announced on Monday. Splash will buy out the public shareholders which accounts 26.6% of the company at P3.10 per share. The company board voted unanimously for the move, as it also wants to keep its strategies private from competitors.